Thanks to our generous friend, violinist - Dawn Harms, last night we went to the Shadows and Light concert of the New Century Chamber Orchestra in Palo Alto. The concert was wonderful and we met Nadja Salerno-Sonnenberg (David's childhood crush) backstage after the show. David's father (Isidor Saslav) when he was the concertmaster of the Baltimore Symphony first performed with Nadia when she was 13! Her passion and drive add even more sparkle to a Bay Area organization brimming with youthful energy and enthusiasm no matter how old the players. Besides sending our Mother's greetings on Sunday, May 10, David and I performed seperately in the evening. 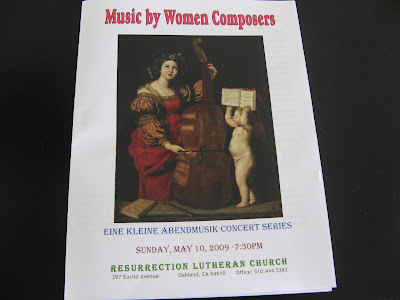 My concert was a lovely tribute to women composers. I played NGC 2997 by Ann Callaway. My favorite comment about my playing was from Violinist Carol Braves. She said I "owned that piece". I'm pleased that I played NGC 2997 pretty well, as Ann was in the audience! Carol and Dr. Allen George Biester (the organizer, organist and pianist) played "Sonatine for Violin and Piano" by Germaine Tailleferre (the only female composer of the famous French group Les Six). Their performance was delightful and brought out all of the charm of Tailleferre's lovely work. 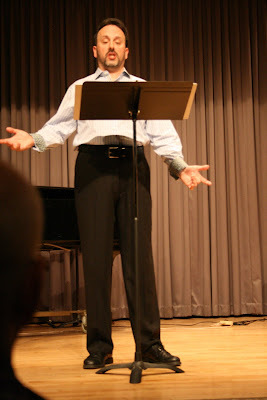 David sang at the tribute concert for the poet Bernie Weiner. 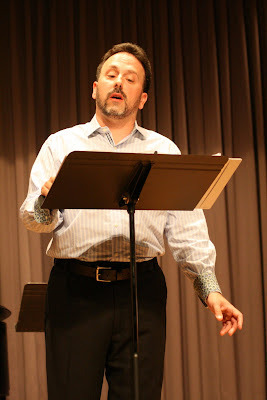 Works were written by several Bay Area composers (including the poet's sons); David sang works by our dear friend Ed Dierauf as well as two works of another local composer, Randy Craig. Brief Bio for Bernie: Bernard Weiner, a poet and playwright, has written numerous fantasias about the Bush Administration ( http://www.crisispapers.org/weinerpubs.htm#fantasies ). A Ph.D. in government & international relations, he has taught at various universities, worked as a writer/editor for the San Francisco Chronicle, and currently co-edits The Crisis Papers. 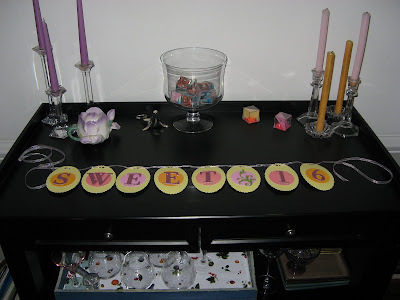 For my niece's birthday, sweet sixteen on May 12, I made her a recording of Bella's Lullaby from her favorite movie - Twilight. The movie is based on the books by Stephenie Meyer. and Khetri on the other side. As the great cellist Pablo Casals said, "Playing Bach everyday is a blessing on your house". I was greatly blessed on May 2nd to play two works by Bach from the French Suite, No. 6 in E Major at Tamara Loring's master class. I played the Allemande and the Sarabande and it was some of my best playing. For once, I was relaxed and focused. 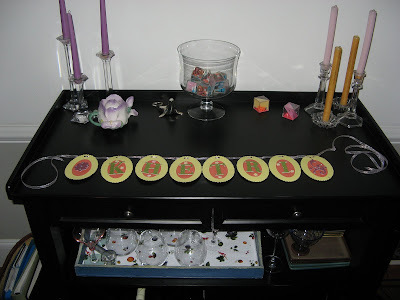 In preparation for the class, here is my "rendition" of the Allemande (click on Allemande to hear the music) recorded April 29, 2009. And for fun a "rendition" of the Allemande from April 2008.